For centuries, the small village of Portlaw in County Waterford, Ireland remained a largely underpopulated place of insignificance. It was said that more animals grazed there than man, woman or child. ​One day, many centuries ago, a freak weather storm opened the heavens and over a period of forty days and forty nights, thunder and lightning bolts filled the skies. Heavy rain poured down non-stop on the green pasture below, flooding the fields and suffocating the stream that flowed beneath the stone bridge. Though the rain that poured was concentrated within an area of one square mile, the storm that carried it could be heard sixty miles away. 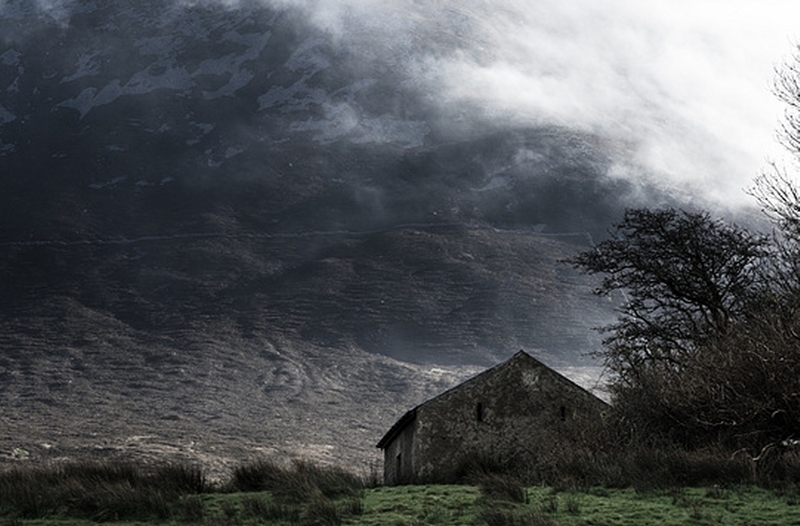 It was even rumoured by the people of County Mayo, that the underground seepage of flood water from Portlaw had created disturbance on the holy mount of Crough Patrick, waking the nest of snakes that Saint Patrick is said to have cast into a deep sleep way back in the fifth century, before burying them beneath the mountain base. ​As the downpour swelled, the surging waters continued to widen the banks of the stream, transforming it to the status and size of waterway that afterwards became known as the River Clodiagh. 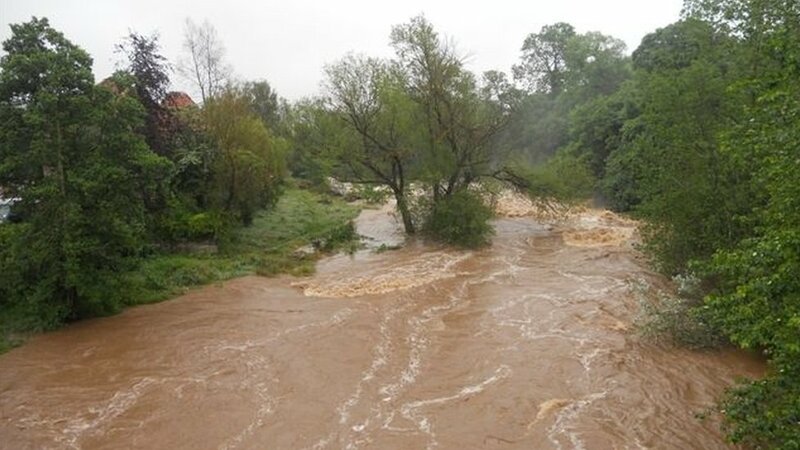 ​Within two weeks of constant downpour, the River Clodiagh united its waters with the neighbouring River Suir that ran parallel. The two became ever-closer neighbours of nature, even though a distance of three miles had previously kept them separated for centuries. This widening of the Clodiagh encouraged a dozen travelling families of gypsy origin to settle in the place named Port Cladach; a village that was later to be known throughout Ireland as Portlaw. The gypsies were awestruck with the greenness of the land.They'd never seen such lush greenery in the whole of their travels around the Emerald Isle. The families took up occupation in the surrounding pasture and green belt land. Having no trade to call upon, apart from the few skills they had learned on the open road, they hoped to earn a modest living raising a few cows, chickens and sheep, and making wooden pegs to sell from door to door. If such trade proved insufficient to feed them, they planned to sharpen the tools of passers-by on their whetstone and read the palms of the most superstitious to supplement their income. ​Over the next two hundred years, this small village gradually grew in population until it became a thriving community. It eventually came into prominence after the Malcomson family built a cotton mill at its centre that employed all of the town’s workers. The Malcomsons were a Quaker family and their religious ideals affected most of the townsfolk of Portlaw. They also built industrial houses and social networks as part of the planned town that still forms a central part of the streetscape today. ​By the 1840's, ‘The Portlaw Cotton Factory’ was spinning, weaving, bleaching, dying and printing. The hours were long and though the wages at the time were better than could be earned in most parts of Ireland, the potato famine that was soon to blight the entire country, fast approached. The American Civil War in 1861 was a bad blow to the Portlaw factory. Raw cotton surpluses dwindled and after the war, the New America imposed tariffs on Irish cotton. This signalled the end of the Malcolmson business empire. The cotton factory was taken over by ‘The Portlaw Spinning Company.’ That factory also closed and eventually in 1932, ‘The Irish Tanners Ltd’ secured the site. In September 1935, ‘The Portlaw Tannery’ officially opened. Despite having been placed on the map by the Malcomson family and their cotton mill many years earlier, Portlaw was not to become world famous until the two sisters, Nellie and Nora Fanning blessed the parish with their presence. Indeed, many came to believe that the Fanning sisters were largely responsible for placing Portlaw on the international map and giving it a worldwide reputation that would last a thousand years!